Use Color Transition of Titration to Determine Water Hardness. 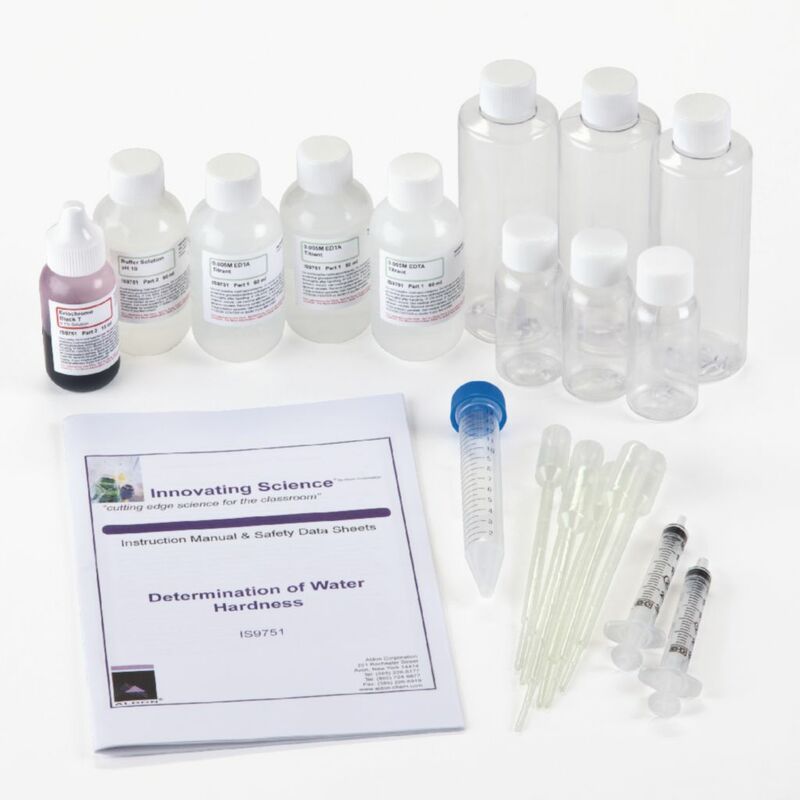 This kit has been designed to allow the analyst to perform a very simple titration to determine the hardness of their fresh water sample. The titration uses an easily identifiable color transition to indicate the end of the analysis. The kit contains everything an analyst would need to perform a water analysis either in the laboratory setting or out in the field. Kit contains enough materials to perform 40 tests.